THE PERFECT BABY GIFT: It's all in the details: delicate ruffles along the neckline yoke makes this sleeveless top an adorable piece she'll want to pair with everything. It's made of cotton/poly sheer jersey for a super-soft touch and feel. UNIQUE AND FUN DESIGNS: We put a lot of thought and time in our design process. 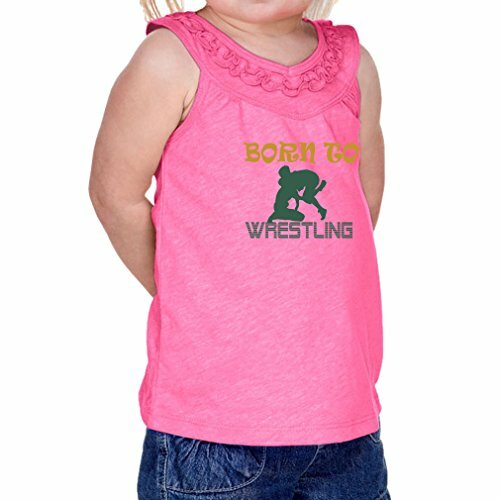 Plus, our tank tops are a real summer staple item for babies and toddlers. They look fun and are super comfortable. As well as being easy and quick to wash and dry. We have a truly fantastic range to choose from, with so many distinctive designs. And you can never have too many, right?